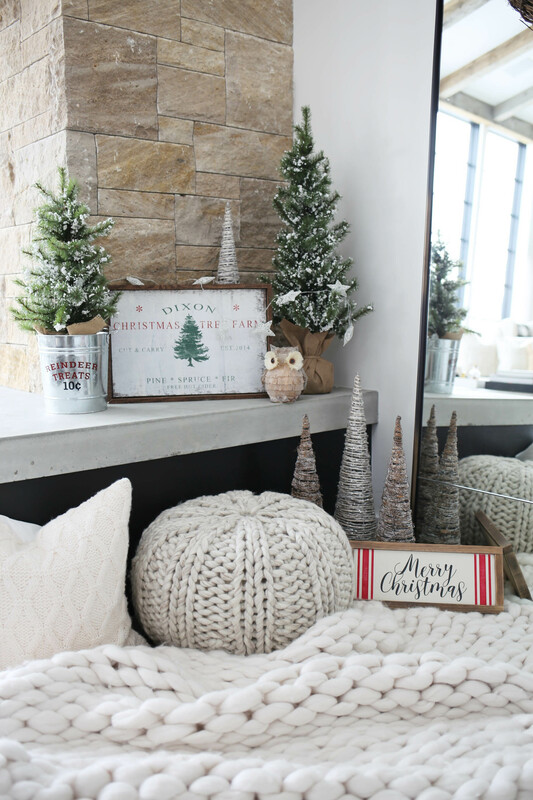 Today I’m sharing my lil’ cozy Christmas corner. Bentley, my pup, has legit not moved from this space since I styled it out. It’s her new favorite spot in the house, and I think it may be mine too! 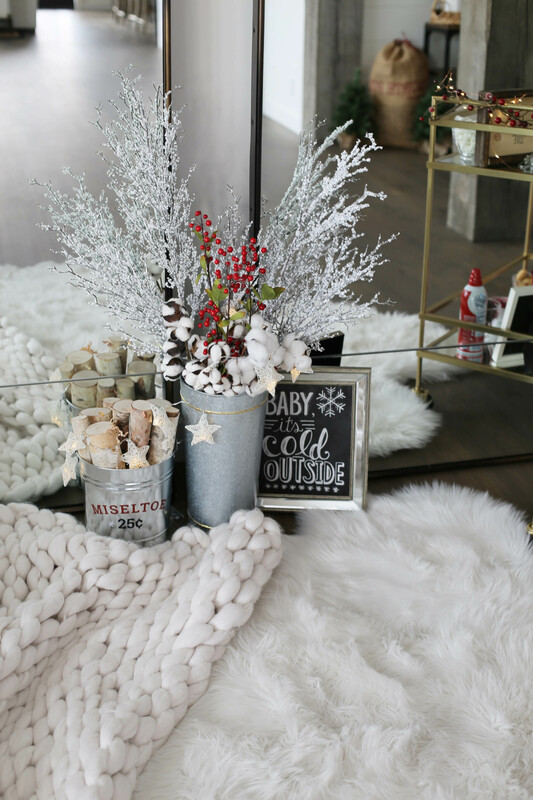 I first started by layering a sheepskin rug and chunky white blanket on the ground. 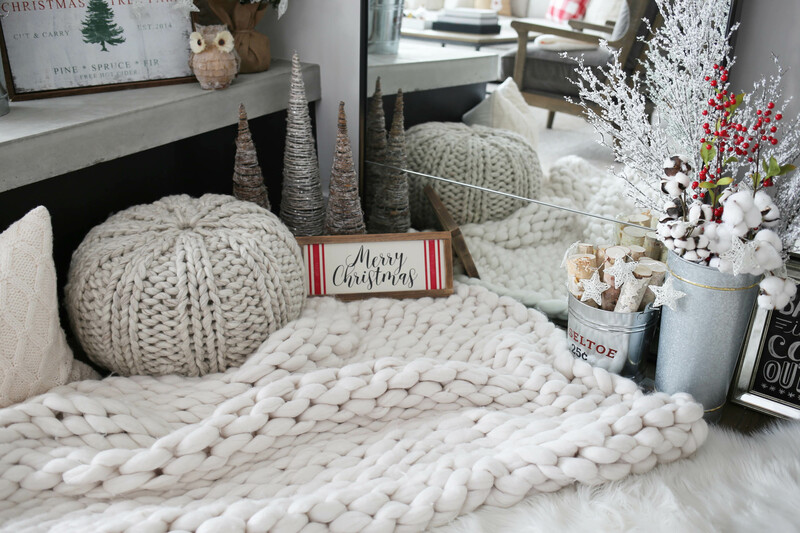 I then added in a cozy neutral pillow and my new knit pouf. I purchased the pouf specifically for this corner and I don’t think it could have turned out any better. 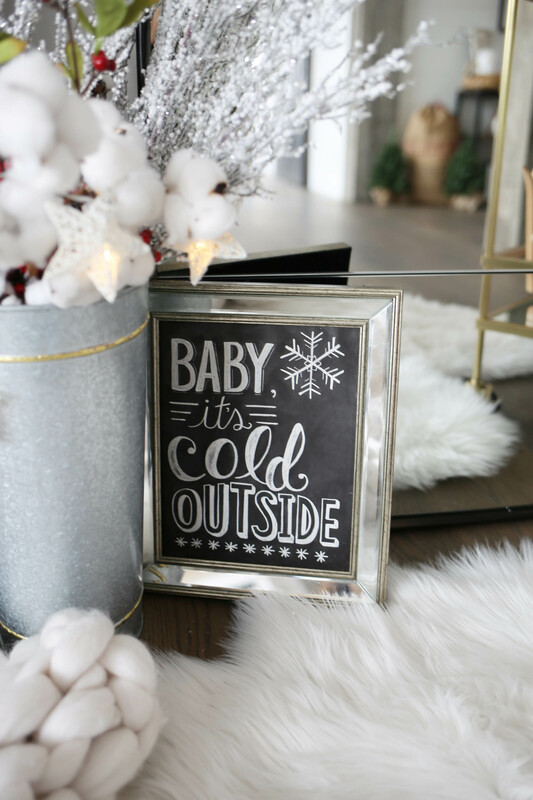 It’s such a great cozy addition and an even better price – check it out here! 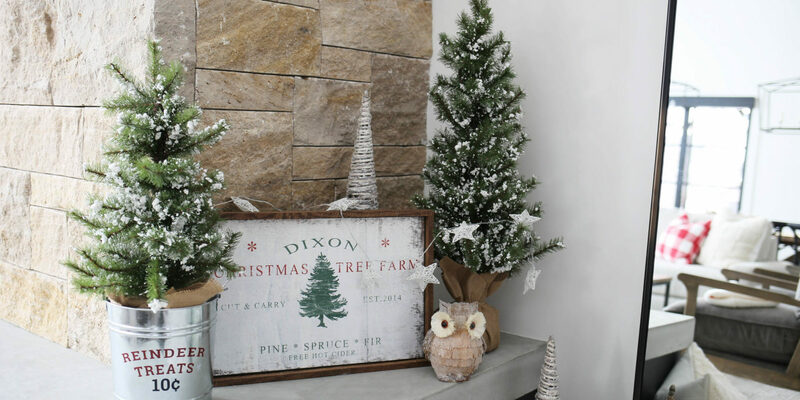 Next up I took three galvanized tubs I purchased from Target, and placed inside, a faux snow tree, birch logs and festive “florals” – cotton, berries and snowy metallic stems. 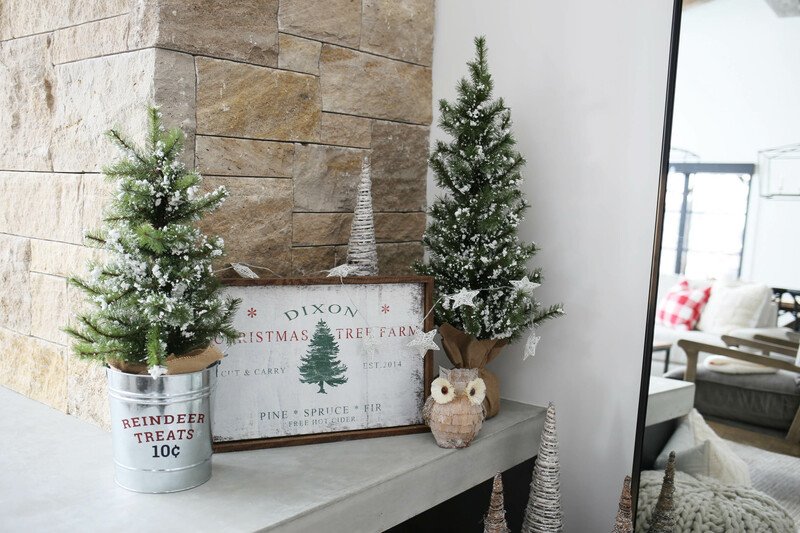 I then styled out the space with my favorite Christmas signage – Farm Fresh Trees, Merry Christmas and Baby It’s Cold Outside. Just perfection!! I completed the corner with two gorgeous buffalo plaid farmhouse wreaths a la Etsy. 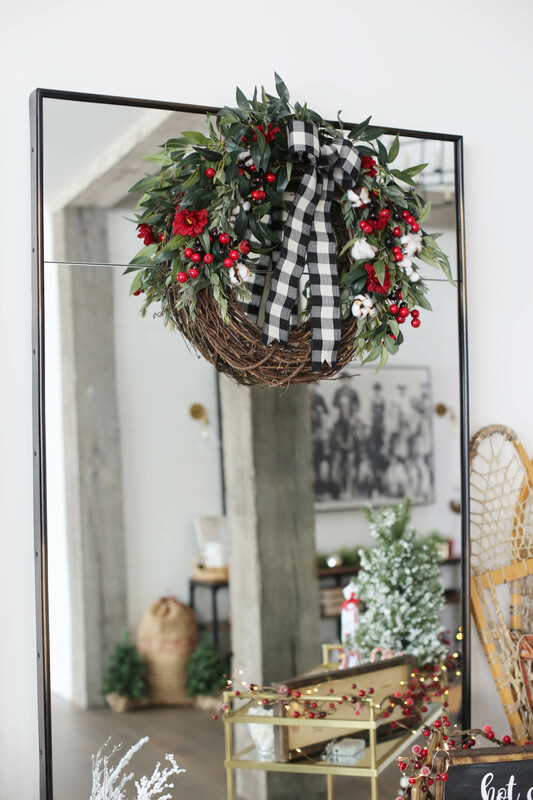 I tied them to the back of each floor mirror with a piece of burlap ribbon. Bing. Bang. Boom. 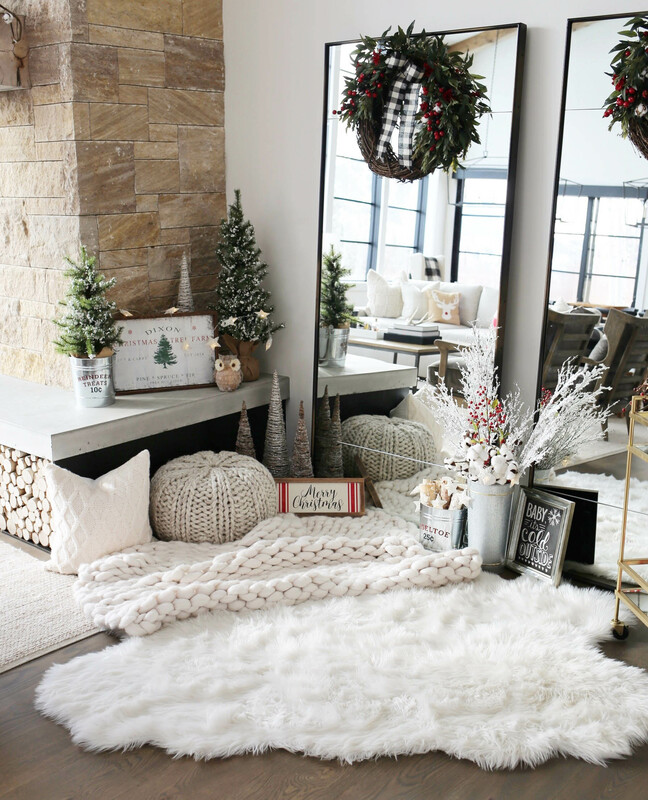 I loved how this space turned out! 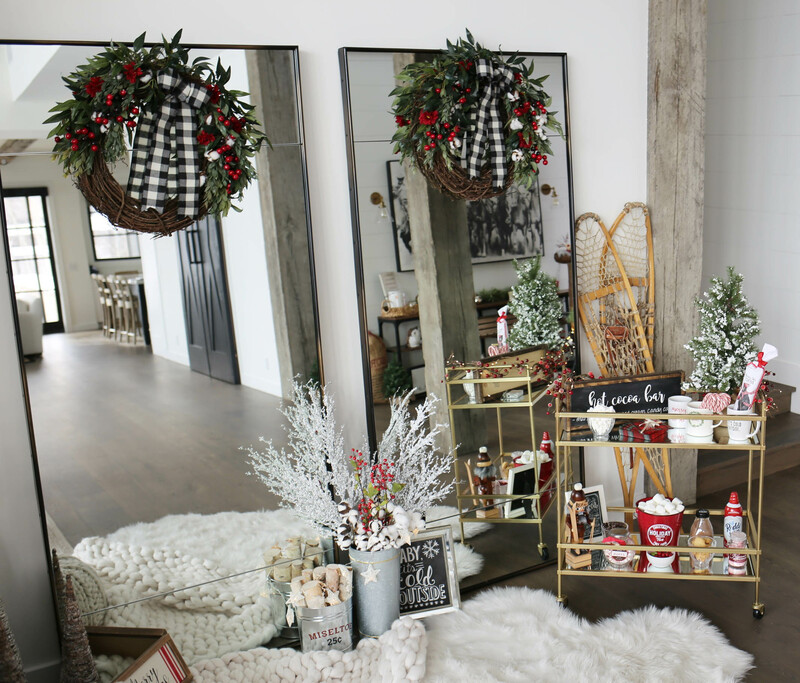 Last but certainly not least, I put together a super cute HOT COCOA BAR. I’ll be sharing all of the details on the blog next week. Stay tuned!! 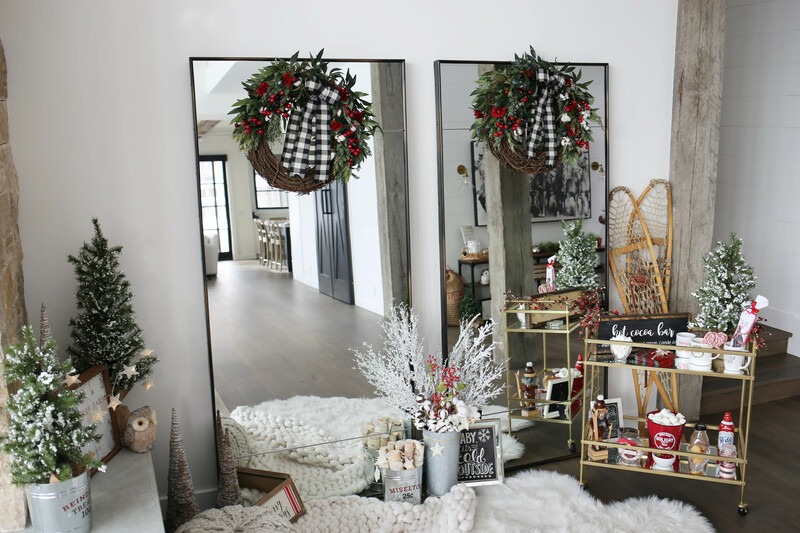 See below for more pics of my Christmas corner and to SHOP all of these beauties. Leave a comment if you have a question – I’m always here to help! 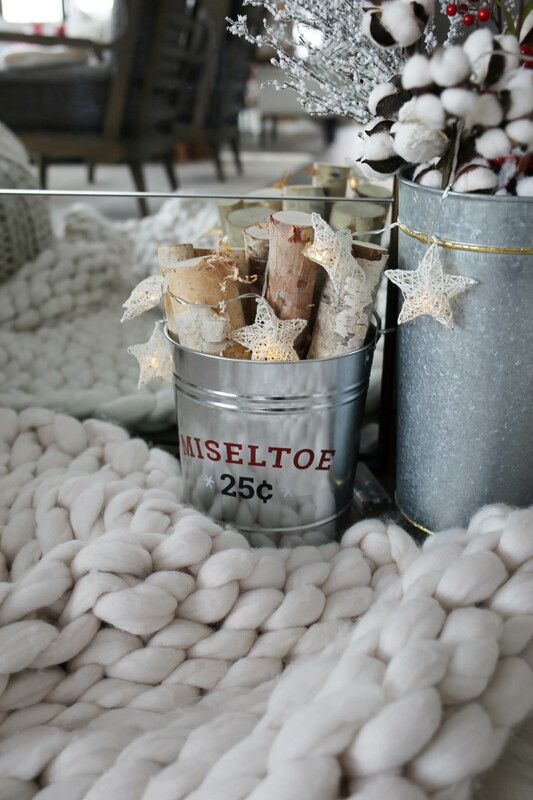 Happy decorating, boos! 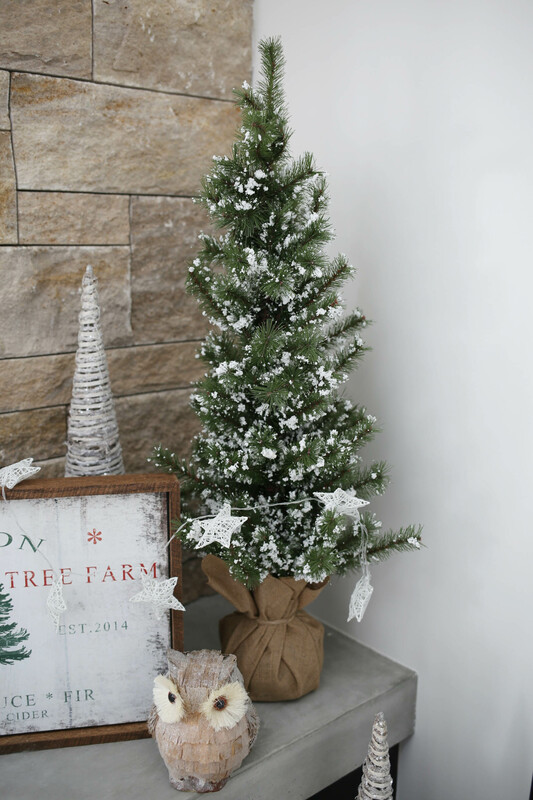 Share the post "Christmas Corner Decor"